Never avoid the dentist again! Fear of the dentist is a natural, common phobia just like fear of heights, fear of spiders, fear of small spaces, and the hundreds of other NATURAL fears that hundreds of millions of people are “wired for” around the world. Millions of people suffer from Dental Phobia (Fear) just like YOU! Never feel ashamed. It would be like being ashamed of having freckles or brown hair. It’s just something you’re born with and there is nothing wrong or deficient about it. Fortunately, Comfort Dental has the procedure you’re looking for. It’s called Sedation Dentistry and its 100% safe. One of the biggest reasons patients choose Sedation Dentistry is because they experience discomfort during dental visits (despite proper anesthesia.) You may have been told (by your previous dentist) that you are imagining the pain at Comfort Dental we don’t believe in this philosophy! If our patients feel any discomfort we either stop the procedure or recommend Sedation. We refuse to provide dental service when our patients feel any discomfort whatsoever. While there are a number of sedation techniques, the most common is called Oral Conscious Sedation. Incorporating medications and relaxing nitrous oxide, we are able to help you feel sedated and comfortable without administering general anesthesia (a costly procedure). With Oral Conscious Sedation, a sleep-like effect is produced, leaving you with little to no memory of your treatment. This is one of the safest and easiest approaches for 99% of all fearful patients. 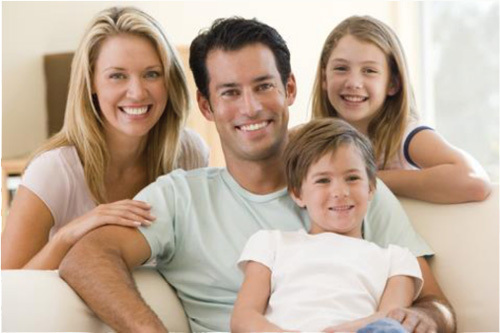 The Comfort Dental team is highly trained in monitoring your well-being and oral sedation. It is one of the safest techniques in medicine. Oral Sedation allows us to guide our patients back to a regimen of good dental health. Q: With Sedation Dentistry, will I feel pain during my appointment? A: We will not perform any procedure on you if you feel any discomfort. Our patients are surprised to discover how easy it is to receive dental care with Sedation. Q: Will I need someone with me at my appointment? A: For your safety, we cannot treat you unless a friend or family member accompanies you before and after your appointment. Comfort Dental will care for you in every way during your visit, but cannot provide transportation to and from the office. You may be slightly groggy for a few hours after the visit. Q: Will I remember anything about my appointment? Q: Will I fall asleep during my visit? Today, anesthesia care is safer than it has ever been, due to improvements in drugs, technology, anesthesia techniques, and provider education. The same standard of anesthesia care for hospitals and Ambulatory Care Facilities is met by Comfort Dental. The “Standards for Office Based Anesthesia Practice” adhered to by Comfort Dental were developed by the American Association of Nurse Anesthetists (AANA) and adopted in 1999. In addition, many states have adopted laws, regulations, or guidelines concerning office surgery and anesthesia practices as the demand for these services grows. Anesthesia is a major part of surgery. During the procedure, anesthesia frees you from pain. All anesthesia care is provided with the highest degree of professionalism, including constant monitoring of every important body function. As changes occur in your reactions to anesthesia, the nurse anesthetist responds with modifications of the anesthetic to ensure your safety and comfort. In addition to their role in the procedure itself, nurse anesthetists make many preparations for you before surgery. You can — and should — take an active role in these preparations by communicating and cooperating with your nurse anesthetist and your surgeon. There are several kinds of anesthesia. Frank and open discussion with your nurse anesthetist is key in the selection of the best anesthetic for you. In particular, you must speak freely and follow instructions closely regarding your intake of medications, food, or beverages before anesthesia. This is vital since such substances can react negatively with anesthetic drugs and chemicals. If you are to undergo anesthesia you will be instructed to call the anesthetist prior to the procedure to ensure that all safety guidelines are being met. In addition, preparations should be made before ambulatory surgery for another adult to accompany you to the health care facility, drive you home, and monitor your recovery. Speak frankly. Ask questions. Follow instructions. Provide your nurse anesthetist with a medical history. Notify your nurse anesthetist and doctor immediately of any change in your physical condition prior to surgery. Communication and cooperation are essential to the anesthesia process. Comfort Dental is proud to work with the best sedation dental specialist in the Metro Detroit area. Why do we choose not to perform our own Sedation? It’s simple: we want you to be in the best and most capable care, from start to finish. Sedation Dentistry may be the best solution for you, just as it has become the best solution for millions of other patients. To learn more about it, ask us about the ease of Sedation Dentistry and we’ll be happy to tell you more. Call Comfort Dental today at (248)646-2273.